JSWARTZ – Allen McDonald Swartz LLP. Jillian has over 20 years of experience advising clients on mergers and acquisitions, private equity and venture capital investments, commercial matters and corporate governance. She has assisted domestic and international clients, including entrepreneurs, family-run businesses, investors, private companies and multi-national enterprises, in the technology, manufacturing, charity and not-for-profit, services, agribusiness, food, consumer goods, retail and financial services sectors. She is widely recognized for being highly responsive to her clients’ needs and for providing practical advice in a straight-forward manner. Prior to forming Allen McDonald Swartz LLP in 2015, Jillian was a partner at Blake, Cassels & Graydon LLP, one of Canada’s leading national law firms, where she started her legal career as a summer student in 1992. Jillian has extensive experience advising on cross-border transactions and uses her legal expertise, deal experience and knowledge of her client’s business and priorities to effectively and efficiently complete these complex transactions. She also regularly advises foreign companies with respect to expanding their businesses into Canada. Jillian advises clients on a wide variety of transactional matters and business-critical commercial arrangements, including joint ventures, corporate reorganizations, shareholder and partnership agreements, consulting services arrangements, and outsourcing agreements. She regularly counsels Canadian and international clients on Canada’s privacy and anti-spam laws. 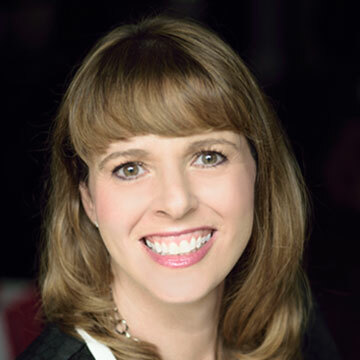 Jillian has been an active member of the Board of Governors of Wilfrid Laurier University since 2012. She is currently the Chair of the Board after serving two years as Vice-Chair and serves as the Chair of the Executive and Governance Committee. Her Board experience also includes serving on the Presidential Search Committee, the University Secretary Search Committee, the Nominations Committee, the Pension Committee, the Human Resources & Compensation Committee, the Finance & Investment Committee, the Buildings & Property Committee and the Evaluation Committee for the Dean of Education. Assisting private equity and venture capital firms with respect to their investments in, and exits from, technology companies (direct investments and fund investments). Counselling technology companies with respect to all lifecycle events, including formation, capital raising and exit. Drafting and negotiating licensing, services, data protection, confidentiality, distribution and outsourcing agreements. Guiding companies with respect to launching new apps, including drafting and reviewing End User License Agreements and Terms of Service. Advising on compliance with Canada’s Anti-Spam Law(CASL), including drafting and reviewing CASL policies and conducting CASL audits. Advising on Canadian privacy laws and drafting privacy policies. Advising on the purchase and sale of businesses in the technology, manufacturing, services, agribusiness, food, consumer goods, retail and financial services sectors in transactions ranging from $1 million to over $1 billion. Guiding a number of high net-worth individuals, families and family-owned businesses with respect to succession planning issues, shareholders’ agreements and the implementation of tax-driven reorganizations. Advising a Canadian entrepreneur in connection with the sale of his interest in a wind energy project to a publicly-traded company. Assisting a US company in connection with its purchase of a company involved in designing and manufacturing oil purification equipment. Advising a South American company in connection with the structuring of its investment in an Ontario limited partnership. Advising an Ontario law firm in connection with its conversion to a limited liability partnership. Advising one of Canada’s leading independent mortgage financing companies in connection with its acquisition of a Canadian residential mortgage business from a US trust company. Advising a real estate investment organization in connection with the formation a complex, limited partnership structure that allows for investment by pension plans, foundations and other institutional investors. Advising pension funds, private equity funds, venture capital firms and other institutional investors in connection with their investments in a number of technology, infrastructure, food services and real estate businesses. Providing expert and independent advice to private companies, family-owned businesses and not-for-profit entities on a range of governance and succession planning issues. Advising on the development and implementation of by-laws and board policies. Advising board chairs, secretaries to the board, in-house counsel and other members of the governance team on the composition, mandate and work plan for board committees; preparation for directors’, shareholders’ and members’ meetings; regulatory compliance. Advising boards and board committees with respect to a variety of highly sensitive matters and special projects. Advising one of North America’s leading museums on a broad range of strategic, operational and corporate governance issues, including advising on significant procurement projects, leading the sale of a high-profile exhibition utilizing augmented reality technology to a U.S. museum, guiding the ROM with respect to the development of a mobile application that includes interactive experiences and wayfinding and advising on agreements for a number of blockbuster exhibitions. Advising a social enterprise in the housing sector on board governance matters, including the development of new by-laws and board policies. Assisting a provincial association representing long-term health care organizations in connection with its transition from boards appointed by the government to independent boards, including a number of governance issues. 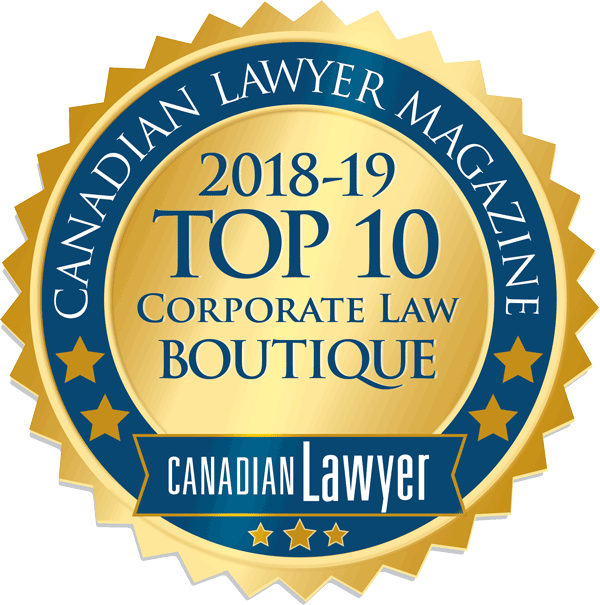 Counselling on compliance with Canada Not-for-Profit Corporations Act, the Corporations Act (Ontario) and the Ontario Not-for-Profit Corporations Act. Advising on the specific exemptions available to charities and not-for-profit entities under Canada’s Anti-Spam Law. Jillian lives in the Banbury neighbourhood of Toronto with her husband, Robert, two children, Matthew and Sarah, and her yellow Labrador Retriever, Bailey. She is an avid photographer, gardener and yoga student. While her early photography focussed on beautiful landscapes and exotic places, the subjects of her recent works are a little closer to home as she serves as her family’s dedicated paparazzi. In the early morning hours, Jillian will often be found either in her garden or on a yoga mat. Jillian is passionate about mentoring, professional development and diversity issues. Throughout her career, she has mentored a number of remarkable and inspiring lawyers and entrepreneurs. In September 2011, Jillian received a Lexpert Zenith Award for her contribution to the Legal Action Within Schools (LAWS) /Blakes Mentoring Program. The Legal Action Within Schools (LAWS) program matches lawyers with high school students from Central Technical School who have shown an interest in pursuing a legal career. Author, “Top 5 Tips for Selling Your Technology Company”, AMS Insight, August 2018. Quoted, “Negotiating Concessions in M&A Transactions”, Valitas Insights, September 2017. Quoted, “Focus: Mandatory reporting of breaches spreads”, Law Times, April 3, 2017. Author, “Creating an acceptable use policy”, The Lawyers Weekly, March 29, 2017. Quoted, “Workplace acceptable use policy should be ‘live’ document”, Advocate Daily, March 2017. Quoted, “Mixing work, personal emails risky for employees”, Advocate Daily, February 2017. Quoted, “Long-term succession plan key for departing CEOs”, Advocate Daily, January 17, 2017. Quoted, “Decorum essential in board meetings”, The Lawyers Weekly, January 5, 2017. Author, “Canada’s Anti-Spam Legislation will allow for Class Actions on July 1, 2017 – Is your organization at risk?”, AMS Insight, July 2016. Presenter, “Trends in Enforcement under Canada’s Anti-Spam Law”, Greater Cleveland International Lawyers Group, October 2015. Co-presenter, “CASL One Year Later: What US Companies Need to Know about Enforcement under Canada’s Anti-Spam Law”, Practical Law, Thomson Reuters, October 21, 2015. Co-presenter, “Canada’s Anti-Spam Legislation: How to Be Prepared for a CRTC Investigation”, Blakes Business Class Series, Toronto, Vancouver, Calgary and Montreal, June 2015. Co-presenter, “Canada’s Anti-Spam Law: What US Companies Need to Know about Enforcement”, Bloomberg BNA, June 2, 2015. Interviewed by Peter Menyasz – “U.S. Companies Should Note Canada’s Now Live Computer Program Consent Law”, Bloomberg BNA, January 26, 2015. Co-author – “Canadian Anti-spam Law’s Software Installation Provisions Take Effect”, Bloomberg BNA, January 2015. Co-author – “Winning the Keys to Castle – A Buyer’s Guide to Auctions”, Blakes Business Class, October 2014. Co-author – “Maximizing the Price for Your Castle – A Seller’s Guide to Auctions”, Blakes Business Class, October 2014. Co-author and Co-presenter – “Canada’s Anti-Spam Legislation and its Impact on US Businesses”, Practical Law, Thomson Reuters, September 2014. Co-author – “CRTC Updates FAQs on Registered Charities under CASL”, Blakes Bulletin on Anti-Spam Legislation, July 2014. Co-presenter: “The New Email Era: Canada’s Anti-Spam Legislation for Charities and Not-for-Profit Organizations”, Blakes Business Class Webinar, June 25, 2014. Co-author – “Canada’s New Email Era: CASL and the Not-for-Profit Sector”, Blakes Bulletin Anti-Spam Legislation, June 2014. Author – “Federal Not-for-profit Corporations Have Less Than 17 Months to Continue under the New Act”, Blakes Bulletin on Not-for-profit Corporations, May 2013. Co-author – “Ontario Delays Implementation of New Not-for-Profit Legislation”, Blakes Bulletin on Not-For-Profit Corporations, April 2013. Presenter – “The Art of Mentoring“, Women and Leadership Conference, Toronto, Ontario, May 3, 2012. Co-author – “Modern Legislation for Not-For-Profit Corporations, Blakes Bulletin on Corporate Governance, October 2011”. Interviewed by Matt Galloway on Metro Morning – “Giving Back“, August 31, 2011. Presenter – “The Art of Mentoring”, Women and Leadership Conference, Toronto, Ontario, May 3, 2012. Interviewed by Matt Galloway on Metro Morning – “Giving Back”, August 31, 2011.